" Dhristi " signifies "vision". Vision can be in great terms and also terrible. At the point when the vision comes as positive it's called 'Shub Drishti' and for negative it's called 'Dhristi Dosha'. Sometimes we can't get away from the malicious 'vision' from individuals who are desirous and can demolish our life and business. At such circumstances in earlier we direct 'Dhristi Durga Homam'. Goddess Durga is viewed as the mother of this universe She has got the ultimate power to vanish the negative vibrations around us. 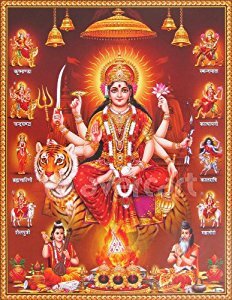 When Would it be a good idea for me to Perform Drishti Durga Homam? This Homam must be performed on fridays or some other days good with the entertainers jenma nakshatra. Book Vadhyar Online for Drishti Durga Homam. All the Pooja Samargi will be brought by Iyer. All the Pandit are all around experienced and considered from Vedic Pathshala.